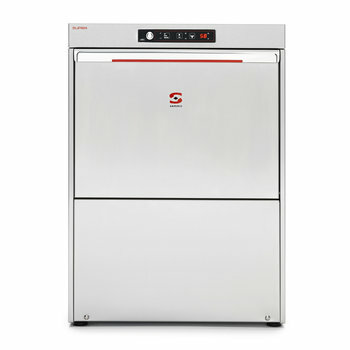 Sammic commercial front loading dishwashers offer a wide variety of solutions for the different users' needs. 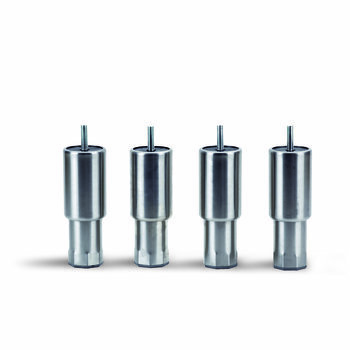 Our offer is organised in 3 product ranges, according to their different performance levels. 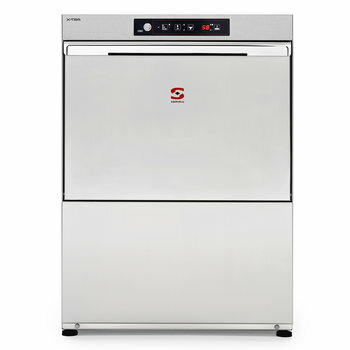 We help you find The Right Dishwasher for your specific needs. 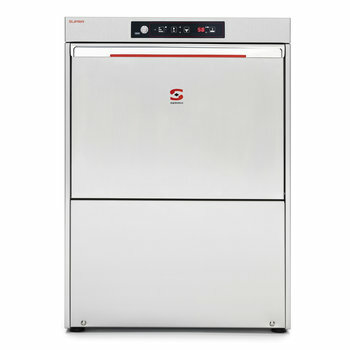 Sammic SUPRA: electronic range with cycle selection, wash and rinse temperature display and double skinned construction. 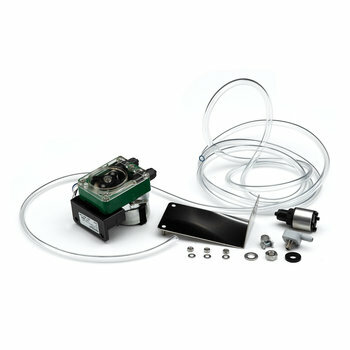 This line includes a model with constant rinse temperature system, conjugating hygienic sanitised results with the comfort and low consumption that offers the double skinned construction. 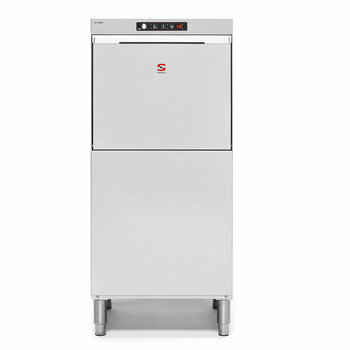 Sammic X-TRA: electronic range with cycle selection that includes a compact model with 450 x 450 mm. 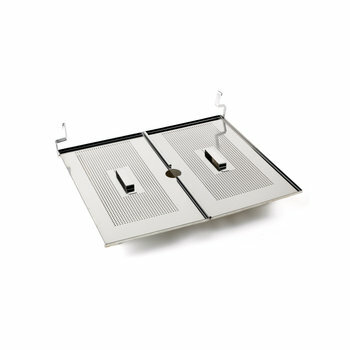 basket, a model with tall base and a model with constant rinse temperature system designed to give hygienic sanitised results. All X-TRA 500 x 500 mm. 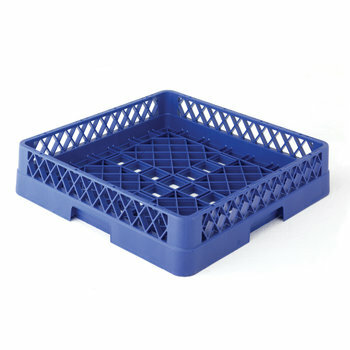 basket models include a wash- and rinse temperature display as standard. 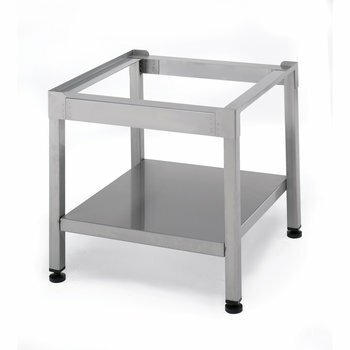 Sammic PRO: 1 electro-mechanical model with 500 x 500 mm. rack and maximum glass height of 330 mm. 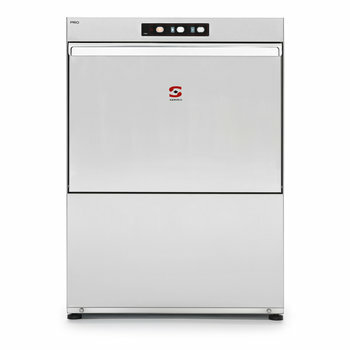 Commercial dishwashers to obtain professional results with total guarantee. 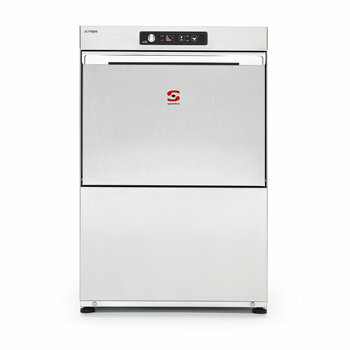 PRO-range of undercounter dishwashers consists of a compact series of electromechanical dishwashers that are easy and intuitive to use. 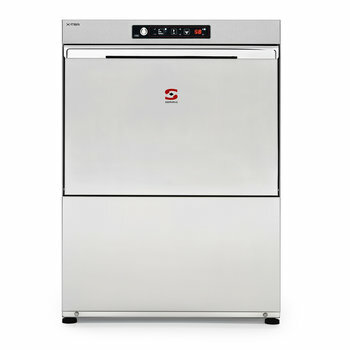 This electronic range with cycle selection includes a compact model with 450 x 450 mm. 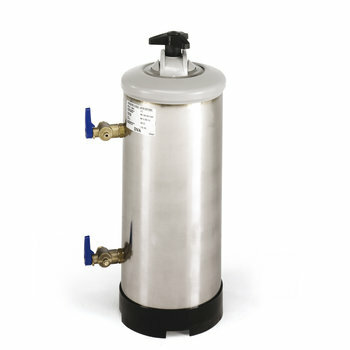 basket, a model with tall base and a model with constant rinse temperature system designed to give hygienic sanitized results. All 500 x 500 mm. 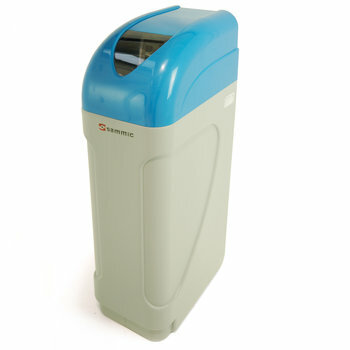 basket models are complete with wash- and rinse temperature display. 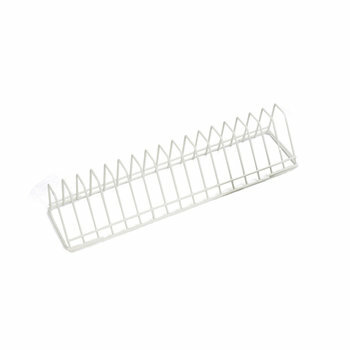 Basket of 500x500mm. Max. loading height: 330mm. Cycle duration 180/--/n" 90/120/150" 120/150/210" 120/150/180" 120/150/210" 120/150/210" 120/150/180"